Too Many Items adds a lot of blocks, things, magic books and cofiguration options to Minecraft. - add items Left-click for a full stacks and right-click for one at a time. - create different kinds of spawners. 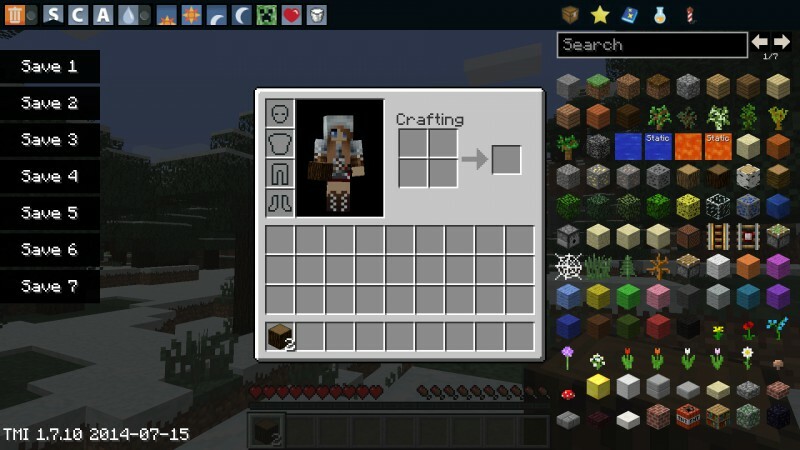 - change the game mode: Click the “S”, “C”, and “A” icons on the toolbar for survival, creative, and adventure mode, respectively. - change the time sunrise, noon, sunset, or midnight. - change difficulty with a click at the creeper icon to toggle the difficulty without having to go into game preferences. - Health/hunger click at the heart icon to set health and hunger to max.